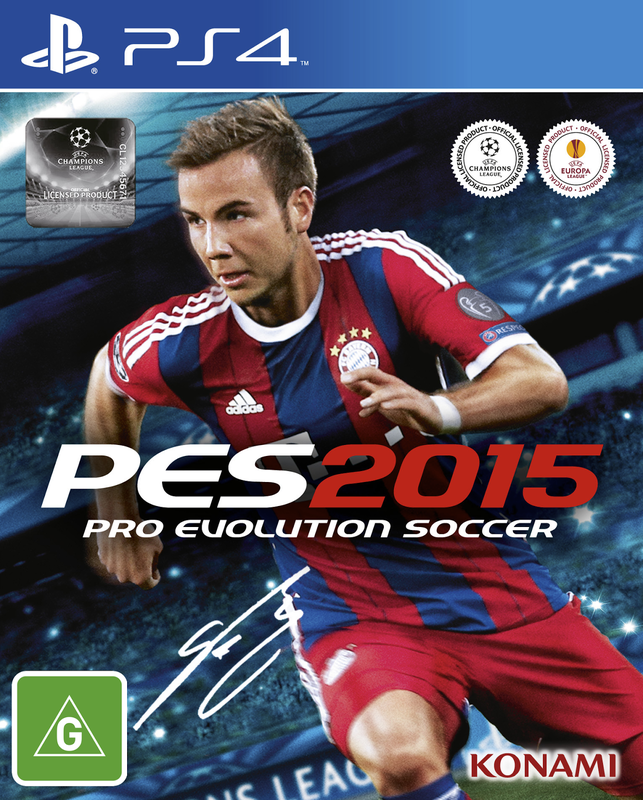 Pro Evolution Soccer 2015 will be available from Thursday 13th November on PlayStation 4, Xbox One, PlayStation 3, Xbox 360 and PC. Konami have also confirmed that a free demo will be released for PlayStation 4, Xbox One, PlayStation 3 and Xbox 360 on Wednesday 17th September. Currently, a PC demo has not been confirmed. Furthermore, the publisher has announced that World Cup winner and Bayern Munich star Mario Götze will be the series' new cover star. 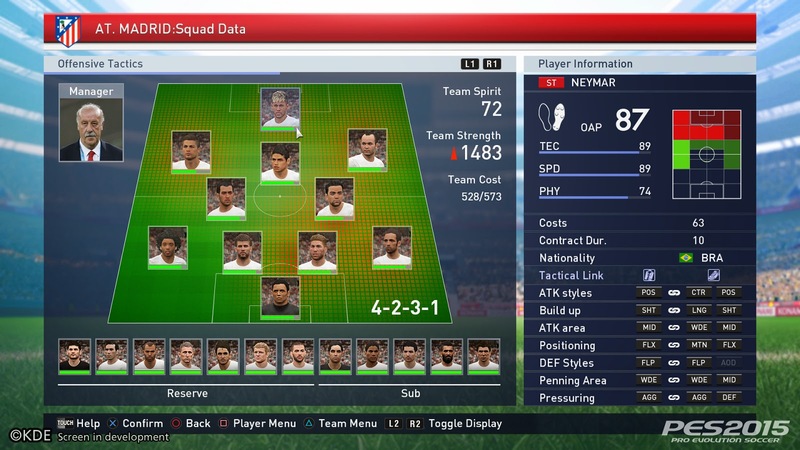 Through their official press release (found here), Konami claim PES 2015 'marks a concerted return to core PES values of total control, utterly responsive controls and unrestricted gameplay, where the user has complete control over how they play". 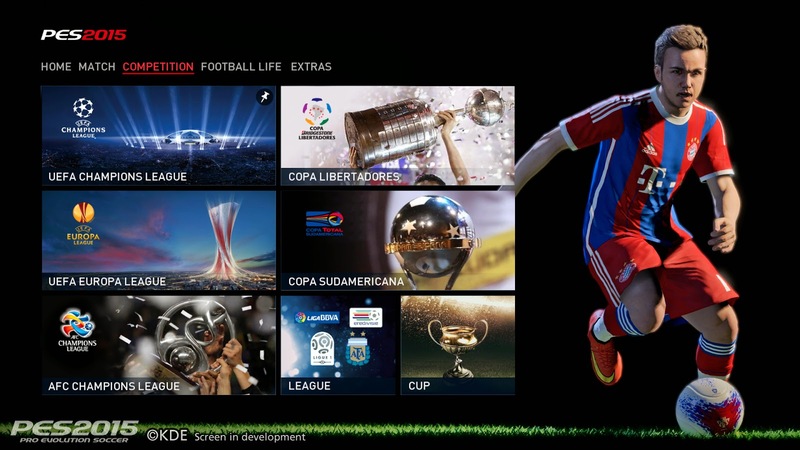 Master League Online has been overhauled and is now called myClub. In this mode, players can use GP points and/or micro-transactions to buy players and managers. Agents must also be used to 'meet player requirement criteria, while unhappy players can upset the balance of a side to detrimental effect'. 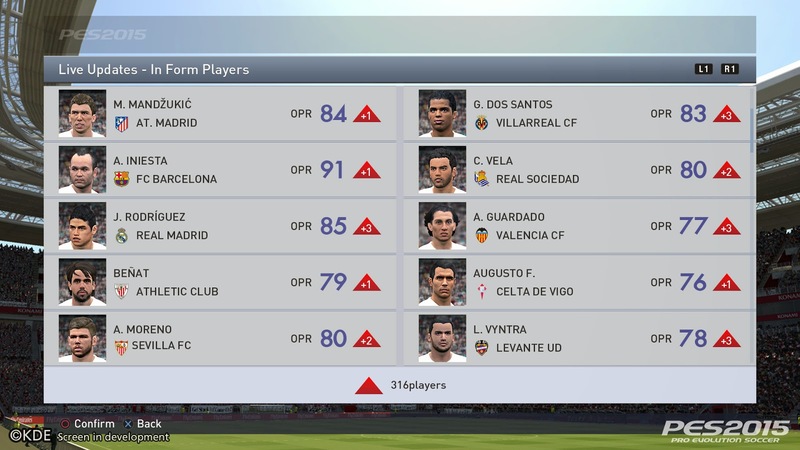 Through Live Updates, with assistance from a handful of key community sites, weekly DLC updates will constantly tweak transfers and line-ups for the English, French, Italian, Spanish and Brazilian leagues. This feature will be applied to online modes, however, it will be optional for single-player modes. For the first time, second divisions have been added for England, France, Italy and Spain. Another first, a selection of licensed managers from Europe and Latin America have also been implemented. Role Control is a new game mode which allows 3 players to divide the defensive, midfield and attacking roles, creating a 'far more structured system for multi-player action'. By playing myClub and unlocking in-game achievements, players can take advantage of the new 'GP' currency system. Edit mode improvements include: The return of Stadium Editor allows users to personalise their home ground by deciding pitch patterns, side line colours, seat colours, and goal net designs. 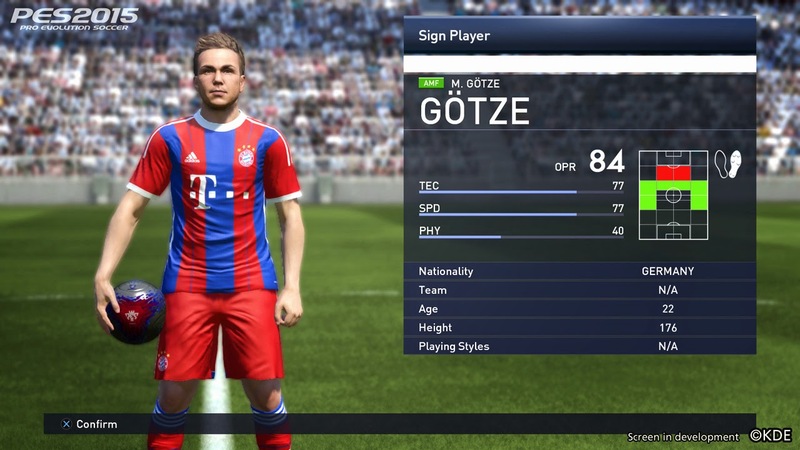 Other edit options include Manager Editor, new player editing options and base copies for all players. Master League improvements include: A revised structure for player growth, licensed managers, new cut-scenes and national Super Cups. Become A Legend improvements include: Enhanced training modes, specific BAL match simulations, new transfer and recruitment systems, and a second tier league. Rain has been added - the press release does not mention a snow weather option. - [NEW] Online Divisions: Acquire points in online matches across a season and fight for promotion or just avoid relegation in this season-style game mode. Sticking with online, a new 'courtesy system' has been introduced to reduce online cheating. The game's licensed soundtrack includes top hits from Cold War Kids, Imagine Dragons and Avicii. Calvin Harris also features.